IAGI presented three awards at Geotechnical Frontiers 2017. Members of the International Association of Geosynthetic Installers (IAGI) recently announced its winners of the 2017 IAGI Installation Awards. The awards presented during Geosynthetics 2017 in Orlando, FL recognize exceptional work by geosynthetic installers. There were two award categories, Innovative and Extreme. The entry that got the greatest number of votes from the judges is the Award of Excellence winner. 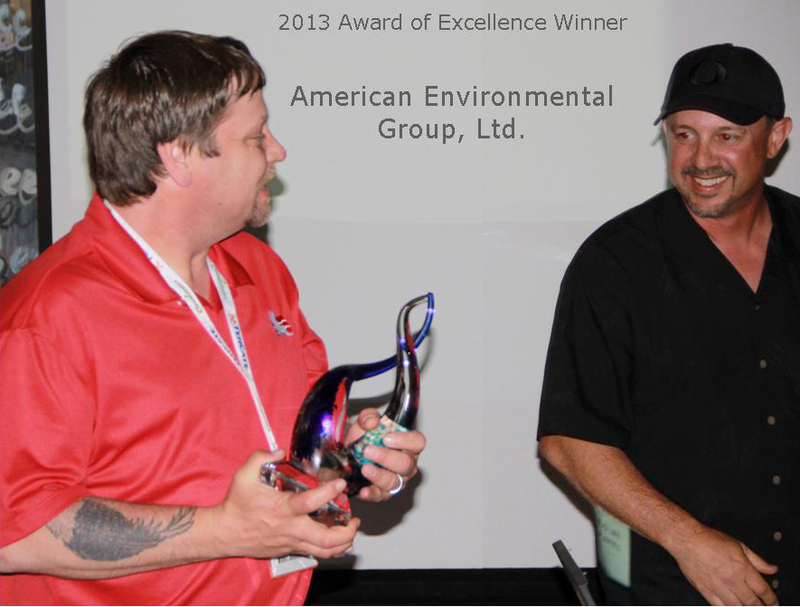 Award of Excellence – Simbeck and Associates (Mancos, CO, USA) for the Blue River Restoration project. The Blue River, which feeds Dillon Reservoir and eventually connects with the Colorado River, is one of several tributaries heavily affected by mining operations in Summit County, Colorado. From the late 1800s to the 1940s, dredging was the preeminent method of extracting gold in the area. In this process of extraction, the valley floor was turned upside down as 70-90 feet of cobble was brought to the surface and exposed. The practice was repeated up and down the valley - decimating the river and meadows that were once home to an abundance of wild flowers and animals. The project involved reconstruction and restoration of approximately 3000 linear feet the Blue River, just north of Breckenridge, Colorado. Work included rechanneling the river, earthwork to reshape the original corridor, installation of river liner, backfilling and restoring the river corridor. The lining was comprised of installing 27 prefabricated 30 mil PVC blankets totaling 255,798 square feet. Extreme Project Award – G.E. Environmental Solutions Inc., Saskatoon, Saskatchewan, Canada for the Cell #2 Expansion. The Cell #2 Expansion was awarded the extreme award for the number of obstacles the installer had to overcome while completing this project under a compressed time frame. The start of the project was delayed due to rain and this pushed this project into the cold weather installation, specifically mid-November in Northern Alberta, Canada. In addition to the sleet, snow and rain, the installer was spent extensive time educating the general contractor about the need for maintaining quality installation. Further, no light plants were available so the time for installation was limited to daylight hours. In mid-November in Northern Alberta there is approximately eight hours of sunlight to work with. Another challenge was the irregular shape of Cell #2. Within 24 working days, G.E. 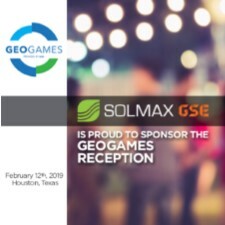 Environmental had to install 522,000 ft2 geocomposite, 495,000 ft2 geomembrane, 366,000 ft2 geosynthetic clay liner, 64,500 ft2 geonet and 64,500 ft2 geotextile. Innovative project Award – Hallaton Environmental Linings, Sparks, Maryland, USA for Pearce Creek Dredge Disposal Facility. The Pearce Creek placement site, owned and operated by the Corps of Engineers, received dredged material from the C&D Canal’s approach channels at various times between 1937 and 1993. The Corps plans to reactivate the site for the placement of dredged material from the federal navigation channel. However, in 2013 the US Geological Survey found that a missing or thin layer of clay beneath the site contributed to the entry of degraded water into the underlying aquifers. Migration of this groundwater, which moves very slowly, had gradually impacted water quality in some residential wells. When the Pearce Creek site was reactivated, substantial safeguards will be in place to protect and monitor surface water and groundwater quality. The geosynthetic liner will prevent any further impacts from dredged material by preventing it from entering the groundwater system. Members of the International Association of Geosynthetic Installers (IAGI) proudly announces the winners of the 2013 IAGI Installation Awards. The awards, which were presented during a special reception at Geosynthetics 2013 (1-4 April 2013, Long Beach, California), recognize the exceptional work of geosynthetics installers. Four IAGI Installation Awards are given out biennially. The Award of Excellence went to American Environmental Group, Ltd., for their work on the Hickory Ridge Exposed Geomembrane Solar Cap. This project featured state-of-the-art installation on a 45-acre closure system that included 10 acres of thin-film solar panels. The site is the world’s largest solar energy landfill closure. The solar energy cover generates greater than 1 megawatt of electricity, enough to supply electricity to approximately 224 homes. The Extreme Project Award went to Iridex Group Plastic for their work on the Voineasa Ski Mountain Resort Infrastructure – MIOARELE Water Reservoir. The challenges the installer faced in completing this job included the job site location, bad weather and a very short 27-day deadline. The project is located at the top of a mountain and no direct access road existed. This project had to be installed around bad weather that included subzero temperatures, freezing rain, windy days and an occasional blizzard. 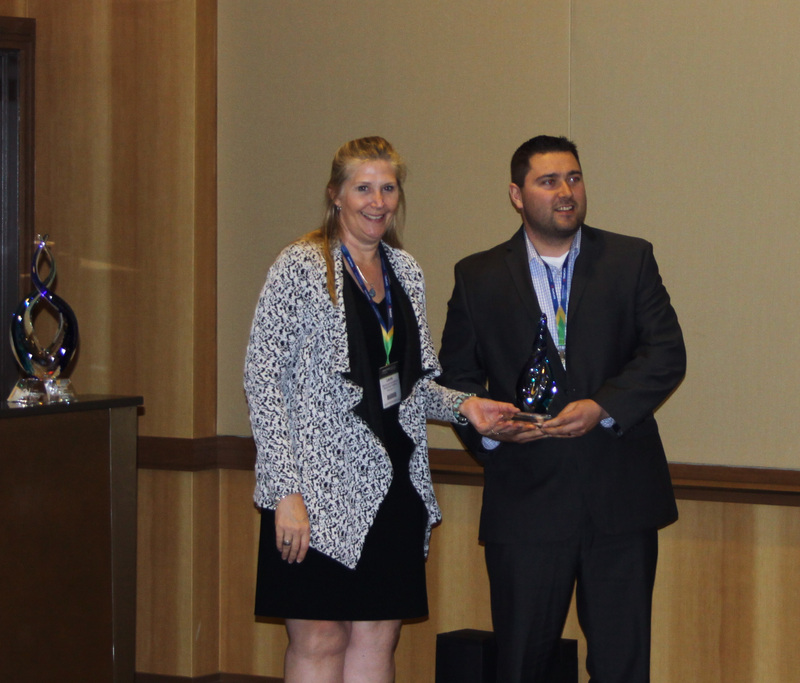 The Innovative Project Award went to Atlantic Lining Company for their work on the Cherry Island Lateral Expansion. 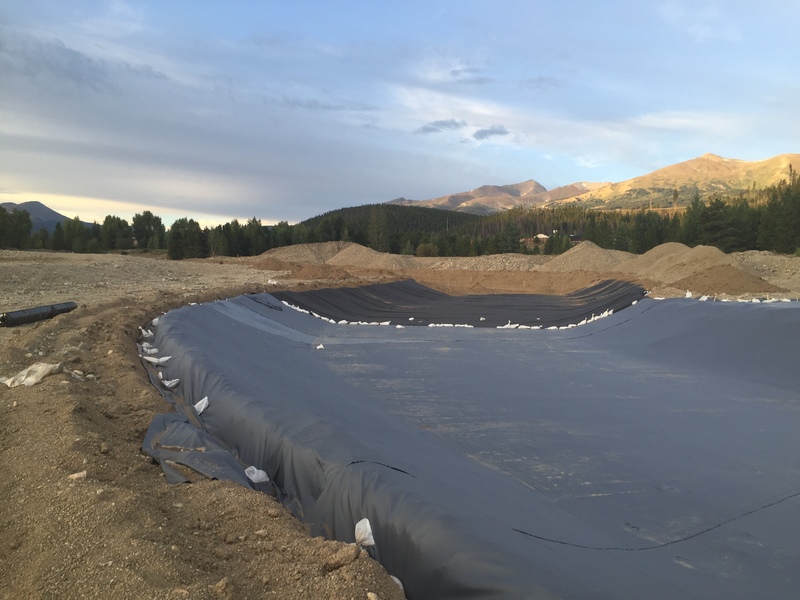 Atlantic Lining had to be innovative in the methods of installing a geomembrane and geosynthetic clay liner and drainage composite when access to the site was only a 30-foot berm, which made for limited staging of equipment and materials. 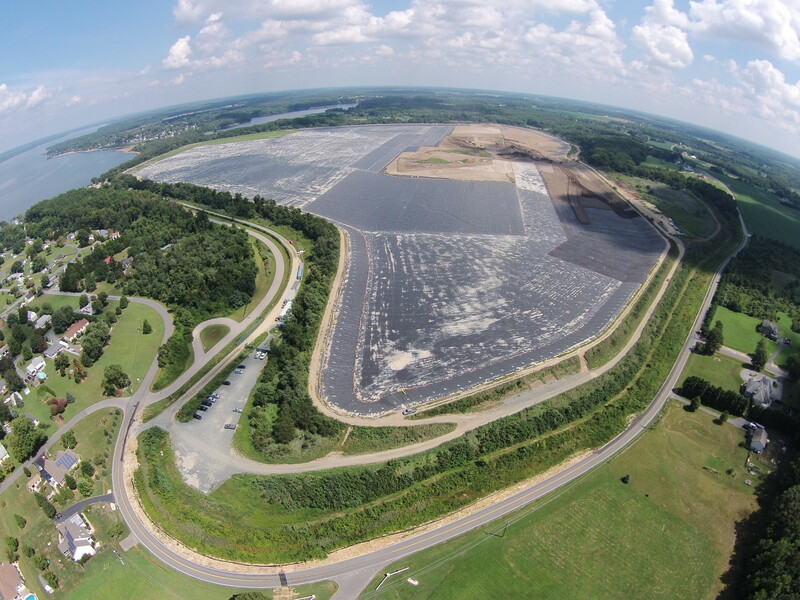 The access area was limited because the owner needed to enlarge the landfill footprint as close as possible to property lines bordering the Delaware River. The Small Project Award went to Pondco, Ltd for their work on the Dairy Farm Effluent Compliance Ponds. The dairy farms are in Waikato, Bay of Plenty areas. Runoff from these farms has seriously affected the health and life of the Waikato River. For farmers, compliance was a huge problem and there were not industry standards to guide them. Pondco Ltd came up with a design they called the “Centroid” to solve these issues and now farmers can cost effectively comply with the effluent requirements.